When I was a kid, Halloween was a holiday for children. Now it's a major celebration for grownups. But in Moscow, it's completely backwards: schools are supposed to ignore Halloween. Halloween is being forced underground because it "includes religious elements, the cult of death, the mockery of death," a spokesman for [Moscow]'s education department Alexander Gavrilov said on Wednesday. For everybody else, Happy Halloween! Six sick sac's rock Sox. Six sick Sox shock Rox. Allen H. "Bud" the Dud comes. Fans see Buddy's cruddy FUD. 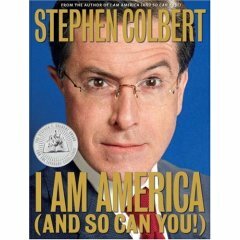 I just got my copy of Colbert's new book, I Am America (And So Can You! ), and so can you. It's filled with truthiness! "The Skywalkers aren't in it, and it's about minor characters," Lucas said in an interview. "It has nothing to do with Luke Skywalker or Darth Vader or any of those people. It's completely different. But it's a good idea, and it's going to be a lot of fun to do." 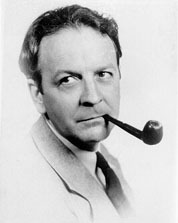 Lucas joked that the series would be about "the life of robots" but wouldn't let any details slip about the true premise. The series is set between the founding of the Empire to the events of A New Hope, referred to as "the dark times" by Obi-Wan Kenobi in the latter film. It is during this period that the last of the Jedi will be hunted down, the newly-formed Galactic Empire will rise to power throughout the galaxy, and the first Death Star will be constructed. 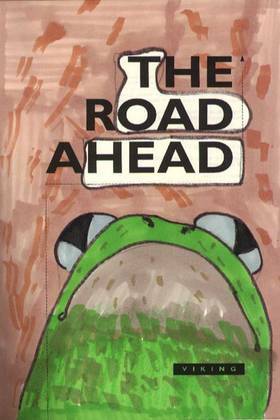 A long time ago in a technology world far, far away, Bill Gates wrote a book called The Road Ahead. I believe it was designed to reinforce Bill's credentials as a visionary and futurist. But a bunch of creative folks saw through the book and divined its true meaning. 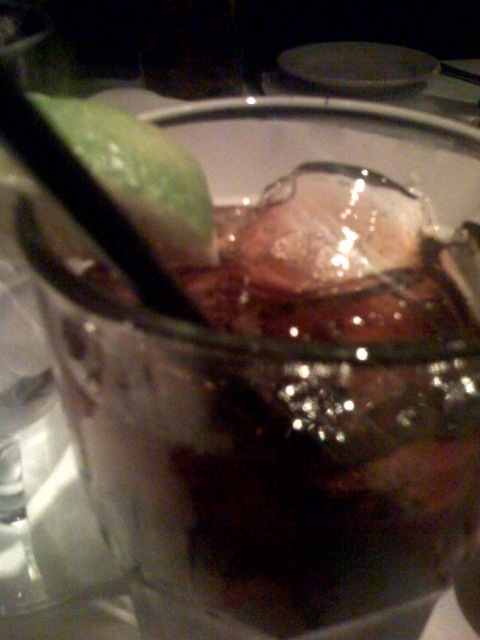 Hi, I'm blogging from a bachelor party (settle down -- it's just dinner). The sudden brightness swung me around and the Fourth Moon had already risen. I had exactly four seconds to hot up the disintegrator and Google had told me it wasn't enough. He was right. Chandler was mocking science fiction, but he was clearly channeling the future when he wrote this: Google gave him the right answer. Minutes of fun at The "blog" of "unnecessary" quotation marks. Some folks built and launched a full-scale replica of a Star Wars X-Wing, complete with R2-D2. Here's what happened. Hint: the Empire seems safe for now.